The Toyota Camry comes with a sleek exterior, comfortable interior, and the latest technologies. Several innovations were added to the Camry for the 2017 model year, and many returned from previous years. The Camry has the latest safety features with sensors and cameras to carefully monitor your car; new infotainment options improve connectivity and entertainment options—perfect for long trips. Notable safety technologies on the Camry include the Bird’s Eye View Camera with Perimeter Scan, a feature that uses cameras from the front, side, and rear to create an overhead view on the in-car monitor. The Intelligent Clearance Sonar system is also state of the art, utilizing advanced sensors to detect danger and provide timely alerts. These are just some of many advanced driver assist technologies. Infotainment technologies are also impressive on the Camry. For instance, Verizon-powered Wi-Fi keeps you connected on the go, and the available Qi wireless charging system removes clutter when recharging handheld devices. Plus, the Remote Connect system allows you to monitor your car from your phone, locating your car, controlling the interior temperature, and more. To learn more about the 2017 Toyota Camry, visit Lancaster Toyota. 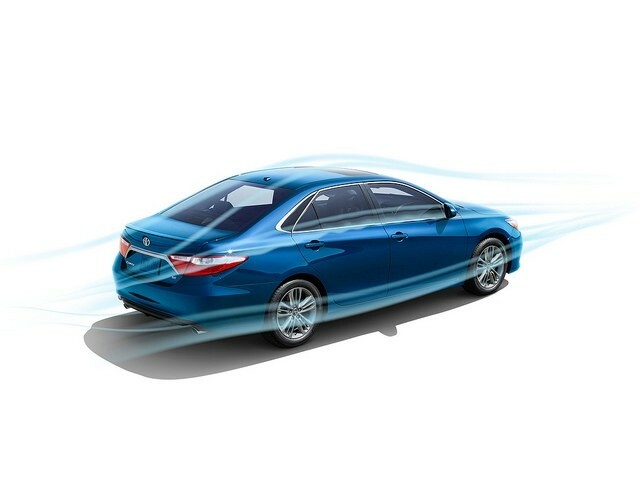 With a suite of innovative safety and infotainment technologies, the Camry promises to be one of the most advanced sedans on the market. Whether you’re looking for improved comfort, convenience, or safety, the Camry may be right for you.